On Tuesday, two warships from the United States and five from China conducted a rare joint naval exercise in the South China Sea, according The Mirror. The two-hour practice, which was mutually staged by both fleets, took place east of the Mariana Trench off the coast of the Philippines, The Mirror reported. At first, Chinese naval officers were complimentary of the United States after the exercise. Wang Sheqiang, the commander of the Chinese naval fleet, said that both sides had an accurate understanding of each other's intentions and that both forces were adept at finding the "right positions and maneuvering," according to The Mirror. One of China's most popular newspapers, the People's Daily Online, which is government regulated, said that the U.S. Navy had committed an "act of hegemony" by participating in the war exercise. The newspaper criticized the U.S. Navy for entering the South China Sea yet again, coming from "one side of the Pacific Ocean all the way to the other side of the Pacific Ocean" to demonstrate its military power. The tirade continued from there. The newspaper alleged the United States promised not to take sides in the South China Sea conflict. It added that by continuing to stage naval exercises in the South China Sea, the U.S. shows that it has reneged on its promises. In the last several years, satellite images have shown China's increasing push to control the waters and islands of the South China Sea, according to the Council on Foreign Relations. 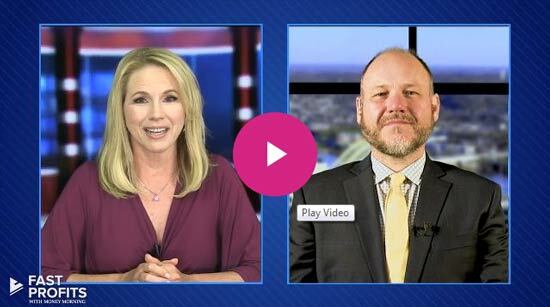 China has built ports, military bases, and installed airstrips in the area. 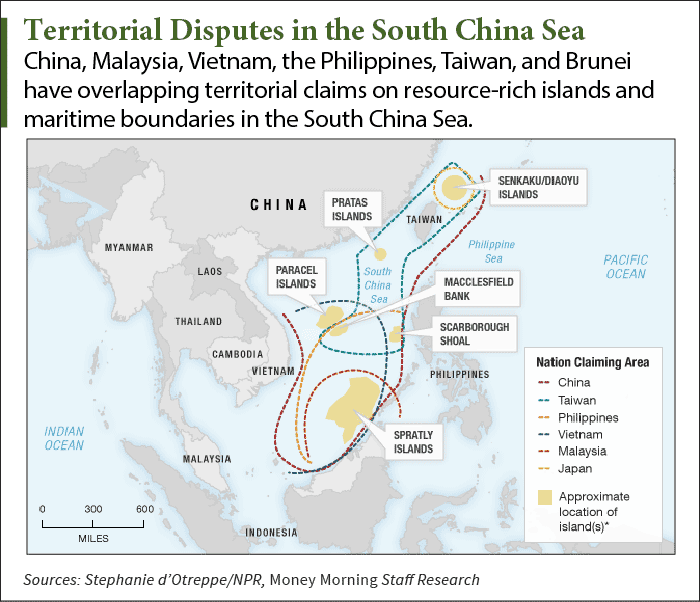 In the fall of 2015, the United States signaled that it will challenge China's sovereignty in the South China Sea region. The U.S. military answered China's territorial claims by deploying planes and warships near many of the region's islands. 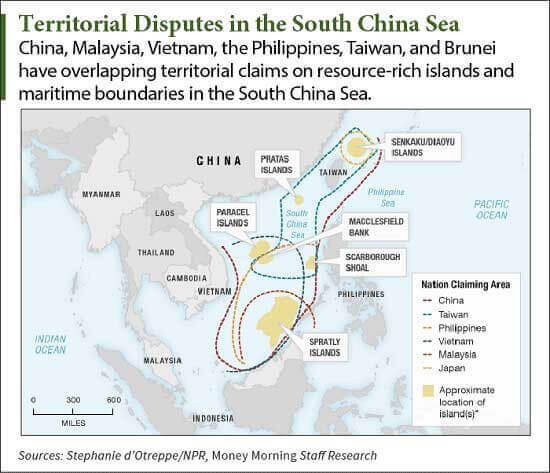 For up-to-date information on the South China Sea dispute – including how it affects your investments – follow us on Twitter @moneymorning or like us on Facebook. The US has been doing this for the last century. There is not issue with this. 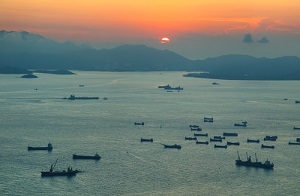 No country has sovereignty in international waters… China unequivocally wrong on all accounts and should not be building artificial islands in major international shipping lanes, threatening world commerce.